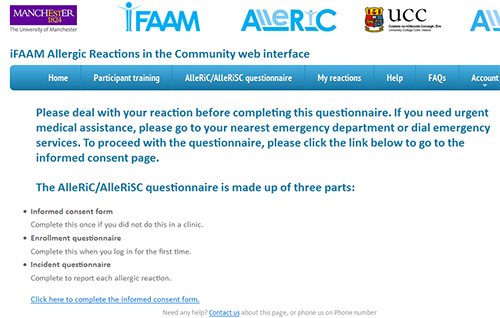 A web-based system for real time reporting of accidental reactions to food in the community (AlleRiC) has been developed as part of the EU-funded iFAAM (Integrated Approaches to Food Allergen and Allergy Risk Management) project. It has potential to be adapted to provide a more effective and standardised means of collecting evidence for the patient organisations. This will support them in their role as advocates for the growing food allergic population around the world. It would also enable direct comparison of data on accidental reactions to foods between countries. The objectives of this workshop were to capture and integrate feedback from patient group representatives to: 1) adapt and optimise the usability of the AlleRiC web-based reporting tool; 2) to make the AlleRiC interface relevant to different cultures around the world; and 3) ensure it captures data that will support the advocacy roles of patient group’s. "The Anaphylaxis Campaign are delighted to be a key partner in taking forward this extremely important iFAAM work stream." 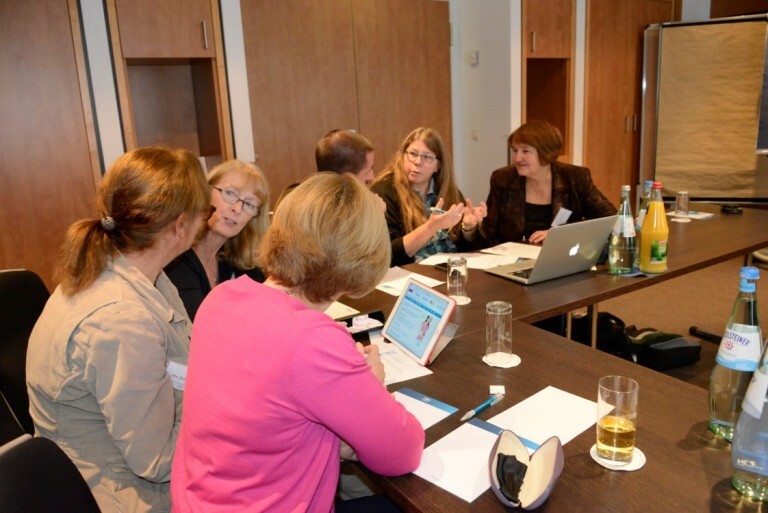 We held a workshop in Berlin on 5th October 2015 prior to the iFAAM meeting. In total, 9 patient group representatives attended from Sweden, UK, Ireland, Germany, France, Spain, Denmark, and Poland. Overview of iFAAM and AlleRiC projects, results so far. Discussion session to capture relevant information. An option to be contacted by a patient group representative after completing the report, to receive information on how to improve the management of their allergy. Informing the patient of how risky their behaviour is, based on their data. A diary/notebook to copy the reported reaction data for later reference. Being able to share the report with their clinician. To improve food labels, knowledge of allergens in restaurants. To improve their own allergy self-management. Patients would be motivated by getting feedback. The questionnaire should be short, easy to understand and personal. Availability and use of epi pens/adrenaline. What information is available about the food? How were patients diagnosed as food allergic? Publicising the reporting system across the countries involved. Easy to access system – e.g. app for smartphone. Use of language and balancing the amount of information. A reduced AlleRiC questionnaire will be rolled out across the EU for use by patient groups as part of the iFAAM project deliverable. The findings from the workshop are currently feeding into a proposal for further research and to support the roll-out of the interface to be used by both clinicians and patients, and to develop a plan for its future sustainability e.g. as a tool to identify new and emerging allergens. Patient views on the system design in terms of content, display and access to patient accidental reaction reports will be presented as a poster at conferences including the EAACI main congress of the EAACI Food Allergy and Anaphylaxis meeting. iFAAM has applied for a session at European Science Open Forum (ESOF) 2016 on allergic reactions and precautionary labelling which involves the patient groups. Outputs from the workshops would be included in the session if granted. This provides a venue for wider public engagement. We would like to thank our PPI collaborators for their assistance in planning the workshop and all those who participated in the workshop for engaging in such enjoyable and insightful discussions. This workshop was funded by a Medical Research Council award (MR/K006665/1) to the Health e-Research Centre (HeRC) at The University of Manchester.